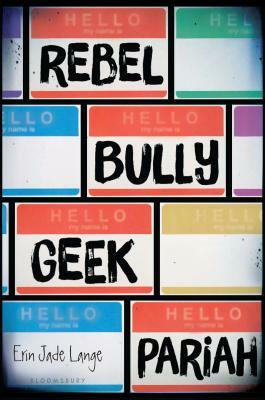 The Geek: Boston, York's brother, and obsessed with getting into an Ivy League school. Andi, Sam, York, and Boston find themselves in the woods together when a party gets busted by the cops. Trying to run rather than get caught, they hop into the nearest car they see and take off . . . until they realize the car they've taken has a trunk is full of stolen drugs. Now they must rely on each other or risk their lives. Should they run or turn themselves in? Would anyone even believe the drugs aren't theirs? Every decision could determine the rest of their lives . . . but how can any of them trust people they barely know. In a cinematic, heart-pounding race against time, four teens learn more about one other in a few hours than they ever knew in all the years they attended school together. And what they find out isn't at all what any of them expected . . .